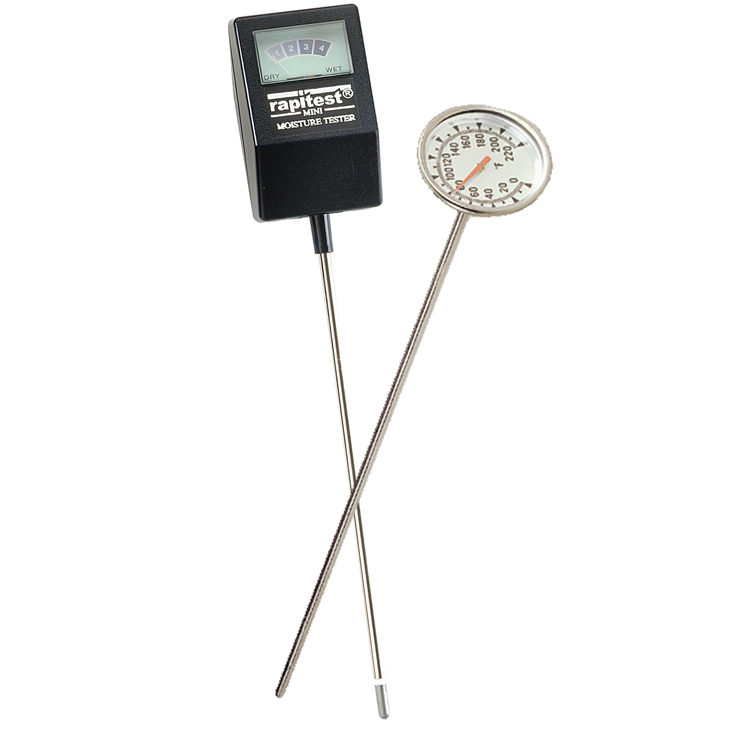 Moisture Meter & Compost Thermometer. Special money-saving price! Two useful tools to ensure quick, thorough decomposition in the pile or bin. Moisture Meter lets you know immediately whether your compost pile needs water. Compost Thermometer helps you maintain a higher temperature for fast decomposition of materials and to determine when compost is ready to use.